Son of the castle cook, Mistress Pippin, Tom spends all his time collecting ingredients and scrubbing pots in the busy kitchen. He certainly isn't prepared to join the Impossible Quest to find a way to save Wolfhaven. 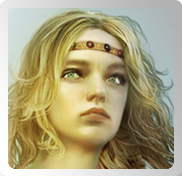 As daughter of Lord Wolfgang, lord of Wolfhaven Castle, Lady Elanor has had a very privileged upbringing. Living in the castle and treated as royalty, Lady Elanor is ill-equipped to undertake a rough and dangerous journey through the wilderness. Quinn started life as an abandoned child. 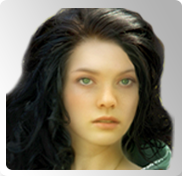 Found floating in a wicker basket on the sea, Quinn was taken in and raised by Arwen, the Grand Teller of the castle. Quinn is in training to become a witch. 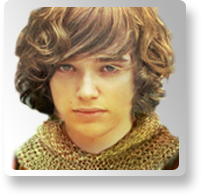 Son of Lord Aidan Byrne, Lord of Ashbyrne Castle, Sebastian is a confident and brash young squire. 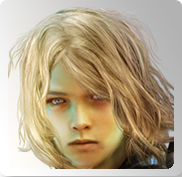 His goal is to finish his training and become a knight who goes on bold adventures.